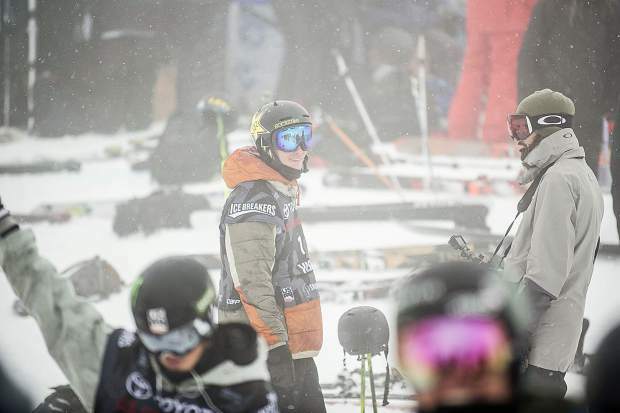 Local Aspen superpipe skier Alex Ferreira waiting after the course closure due to weather after his first run in men's ski superpipe on Wednesday in Snowmass for the U.S. Grand Prix. Ferreira took third place in the qualifiers and will compete in finals on Friday. 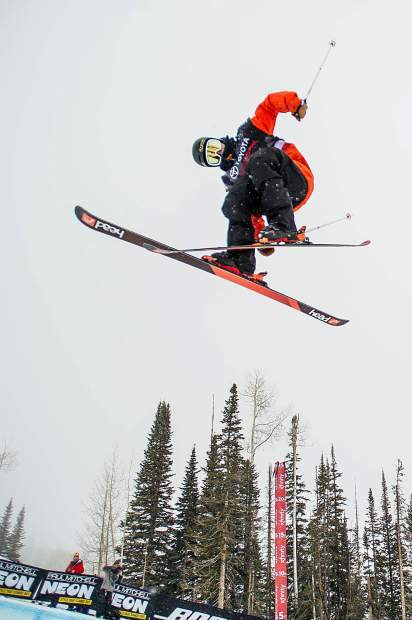 Aaron Blunck on his second hit of his first run in the qualifiers for men's ski superpipe on Wednesday in Snowmass for the U.S. Grand Prix. Blunck ranked first overall in the qualifiers and will compete in finals on Friday. 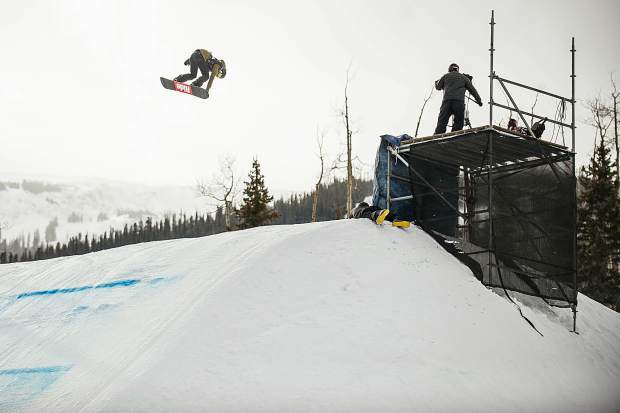 Reira Iwabuchi of Japan soars off the second-to-last jump during the women's snowboarding slopestyle Grand Prix qualifiers in Snowmass on Wednesday. Iwabuchi ranked second in the qualifiers. 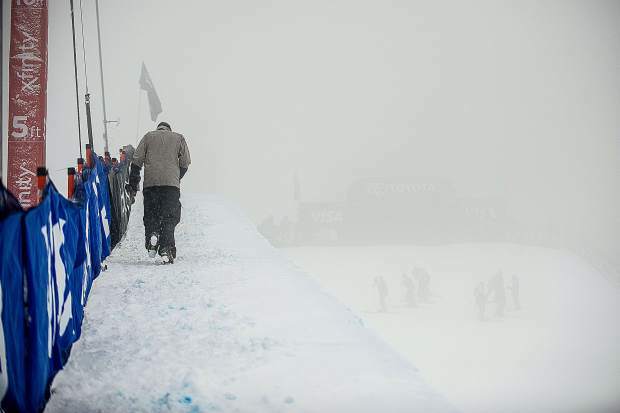 Photographer Drew Lederer braces the elements walking up the superpipe and the slip crew waits in the fog while the men's ski qualifiers were on a course hold due to weather at the U.S. Grand Prix competition on Wednesday. Jessika Jenson of the United States hits a jump on the slopestyle course during her second run in the women's snowboard slopestyle qualifiers at Snowmass for the U.S. Grand Prix on Wednesday. Jenson ranked first in the qualifiers. 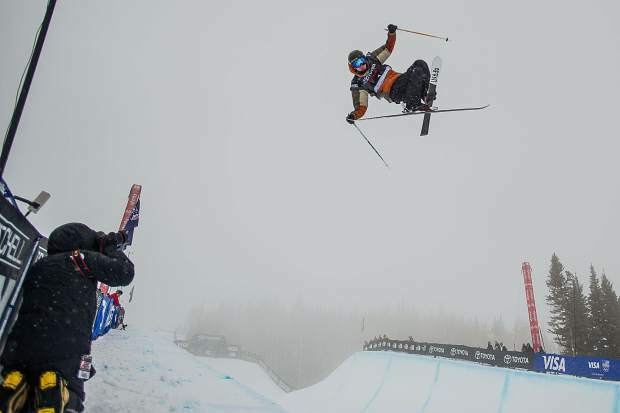 USA competitor Devin Logan does a grab during her second run of the women's superpipe ski qualifiers for the U.S. Grand Prix in Snowmass on Wednesday. Logan ranked fourth overall in qualifiers. 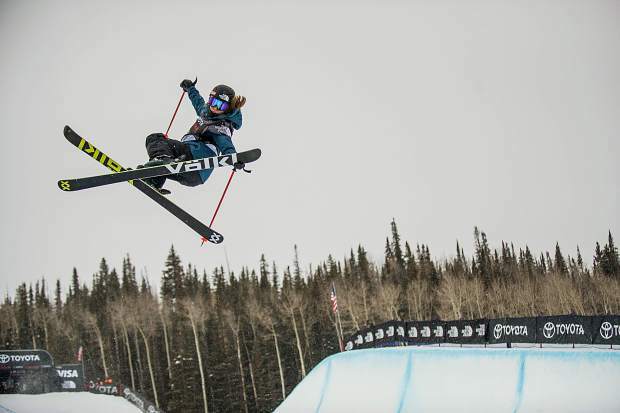 USA competitor Maddie Bowman does a grab during her second run of the women's superpipe ski qualifiers for the U.S. Grand Prix in Snowmass on Wednesday. Bowman ranked second overall in qualifiers. 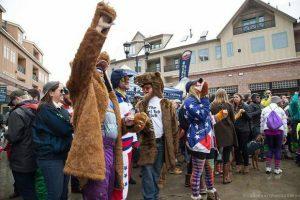 Women’s halfpipe qualifier: 9:25 to 11 a.m.
Men’s halfpipe qualifiers: 11:40 a.m. to 12:35 p.m. and 1:30 to 2:25 p.m.
Men’s slopestyle qualifiers: 9:25 to 10:45 a.m. and 11:40 a.m. to 1 p.m.
Women’s qualifier: 1:55 to 3:15 p.m.
Alex Ferreira was ready to “go watch movies and chill,” a luxury he had at his disposal after landing his first run in Wednesday’s men’s ski halfpipe qualifier at the Toyota U.S. Grand Prix in Snowmass. 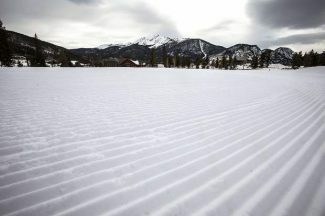 And it was a good thing the Aspen local landed his first run, as Mother Nature made finishing the second and final qualifying run difficult. 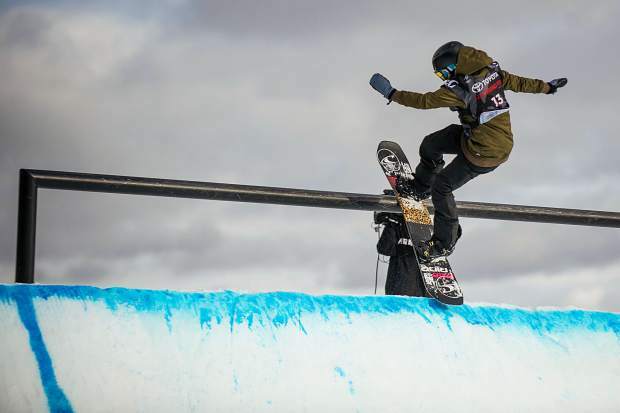 The U.S. Olympic team qualifier got underway Wednesday with relatively perfect weather, meaning the women’s ski halfpipe and women’s snowboard slopestyle qualifiers went off without much trouble. But as the day wore on, an expected winter storm rolled in and a thick fog settled over the slopestyle course and the halfpipe during the afternoon qualifying sessions for men’s snowboard slopestyle and men’s ski halfpipe. With the fog, which eventually turned to snow, it was nearly impossible to see the top of the halfpipe from the staging area at the bottom. This led to a lengthy delay that pushed an hour between the first and second qualifying runs. The fog cleared just enough to allow the second runs to happen for the men’s ski halfpipe qualifier. 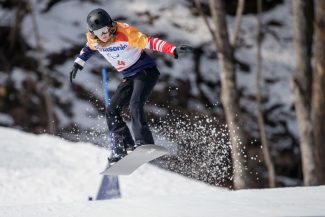 However, the snow and fog was too much for the men’s snowboard slopestyle athletes, who saw their second qualifying run canceled. 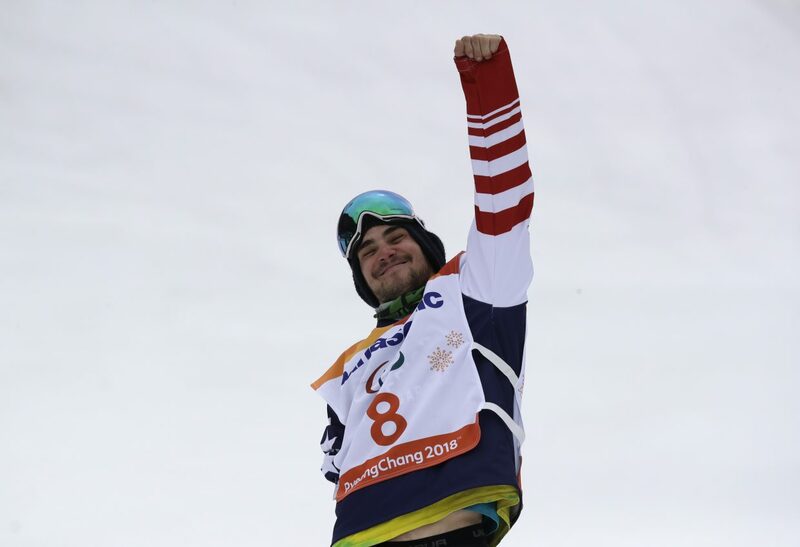 Ferreira, who finished third overall in Wednesday’s ski halfpipe qualifying, didn’t even attempt his second run. The falling snow made the pipe slower and therefore more difficult to get amplitude to impress the judges. 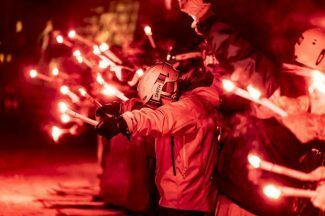 Alexakos said athlete safety is always the No. 1 concern when it comes to dealing with the weather. 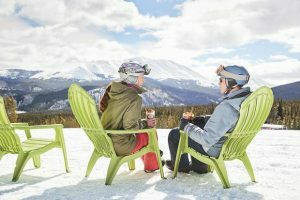 He doesn’t expect the lingering snowfall to impact today’s snowboard halfpipe and ski slopestyle qualification. 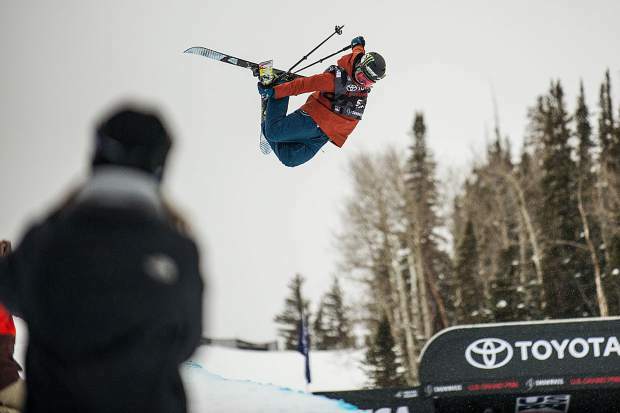 The Snowmass Grand Prix, which is the second-to-last U.S. Olympic team qualifier with only next week’s stop at Mammoth remaining, is the first event of its kind in Snowmass since a Grand Prix in 1998. It will continue today with the remainder of the qualifiers before the finals Friday and Saturday. 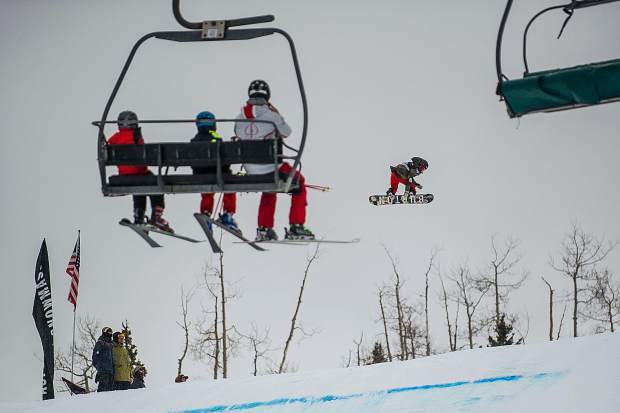 A second ski slopestyle competition — qualifiers and finals — is scheduled for Sunday.